Zone Base: Great Value BotCon 2019 Optimus Prime? Great Value BotCon 2019 Optimus Prime? 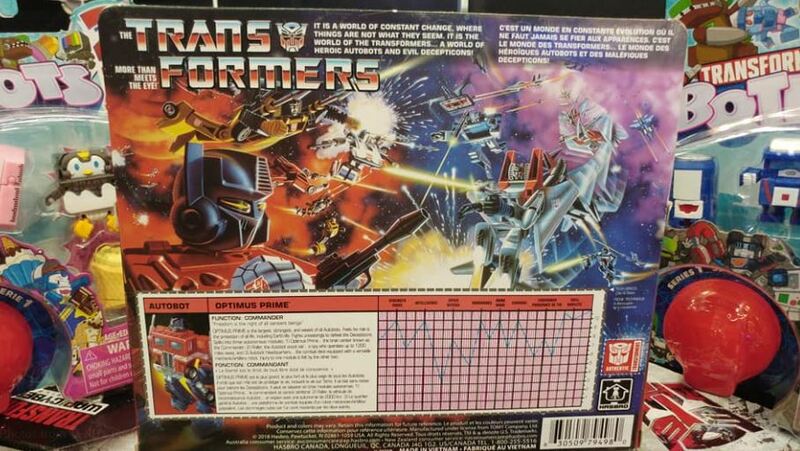 The news of this leak has been making the rounds in the past few hours with most speculating that this will be one of the Walmart G1 reissues for 2019 (since we now know Astrotrain won the fan vote for 2020). Some folks are debating that it's a custom based on the rounded corners and what not, but I'm thinking it's a pretty good possibility. Mainly due to the type of ties holding Optimus to his insert that can be seen, the P.E.T plastic logo visible, multi-lingual text, and the legal info on the back of the box. I mean, sure it could be fake, but it's real enough looking to be plausible. So with that discussed, I'll just go with the 'what if it is real' and speculate from here. I've really enjoyed the Walmart reissue line and obviously Optimus would be a good choice. I mean... duh. The sticking point a lot are pointing out is the lack of trailer. 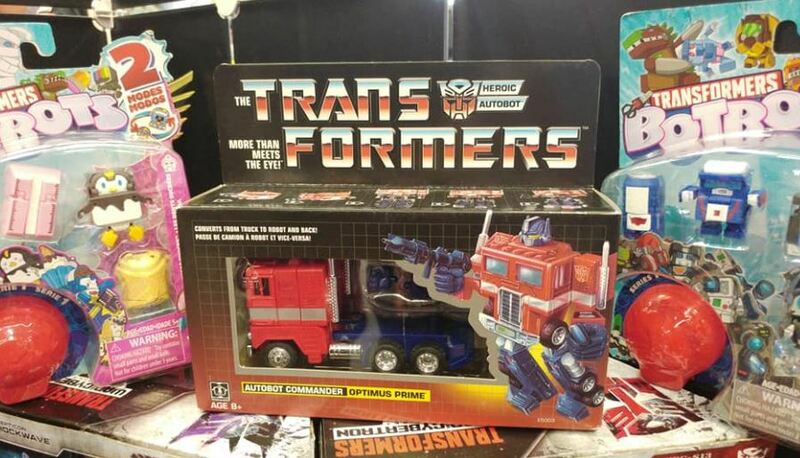 I would assume this would be a cost cutting measure making Optimus priced similar to Hot Rod as with the trailer he'd probably skew higher than what Walmart would want to put on that shelf. Devastator was pricey, but that was a gift set. 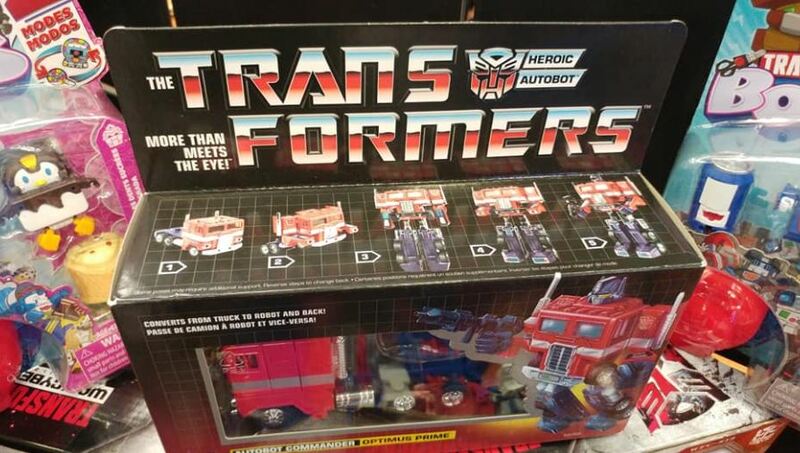 This is one bot, $35 for Starscream was probably pushing it, so I can understand why it's be just a cab only release. Honestly it doesn't bother me as the slight differences in these Walmart reissues have held a certain novelty charm for me. I'm upfront that it's not the original release I just bought, so having an exact replica isn't an issue for me. I like the small differences between releases, it's a weird little checkbox that's nice to have checked. Not to mention, good grief how many G1 Optimus Primes do I have? I got a trailer or billion to stick on him if I really wanted to. Back to that small differences thing, having a cab only Optimus in a vintage style box is neat. It's just neat to have a new version presented as an old thing. I hope his colors are slightly different. Like a hue off or so. I just dig that man. I wonder who else is slated for Great Value Botcon 2019?